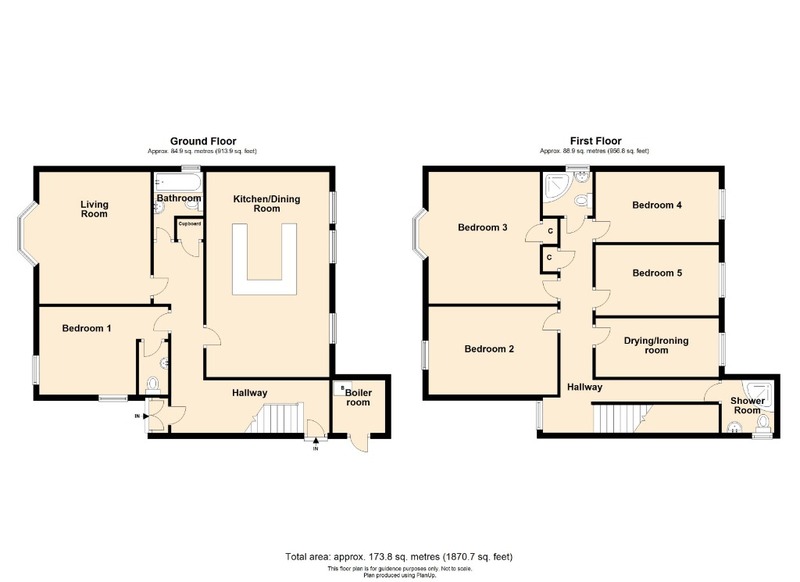 BOOK A VIEWING ONLINE for this property now at the Umega Lettings website! POST-GRADUATE OR PROFESSIONAL LET ONLY. A glorious and modern 5 bed HMO duplex property in the popular Newington area - in the heart of Edinburgh within walking distance to George Square, King's Buildings, and with frequent bus access to Edinburgh City Centre. Entering through the vestibule takes you into the wide and bright hallway that divides the lower floor into its rooms. To the front of the property you have a spacious lounge with a lovely bay window offering a super-comfortable setting to enjoy a night in with your favourite movie and relax with friends. Sticking to the front of the property, you have a large double bedroom with an abundance of storage and desk space. The bedroom also has a private WC. Off the hallway, you have a shared bathroom with shower-over-bath. Facing the rear of the property, you have a large impressive fully integrated modern kitchen that will become your favourite room in the property - we promise you. A circular shaped worktop in the centre of the room acts as a focal point to prepare delicious food (think of the dishes you can drum up!). Alongside that, you have a large dining table where many dishes, drinks, and laughter will be had. Moving upstairs (spot some Banksy artwork on the way), you have 4 large and bright bedrooms with storage and desk space perfect for relaxing and catching up with some work. The upstairs floor also offers a convenient drying/ironing room for all year-round laundry (please use the dehumidifier provided though)! Alongside that, you have two modern shower rooms so there will be no queue in the morning. To finish it all off, the property enjoys a large back garden with summerhouse that captures the Scottish sun on a daily basis. PLEASE NOTE: THIS PROPERTY IS AVAILABLE TO POST GRADUATES AND PROFESSIONALS. THE DRIVEWAY TO THE PROPERTY AND USE OF THE LOFT SPACE ARE NOT AVAILABLE WITH THE PROPERTY. Located in the popular area of Newington, you are within walking distance everything the area has to offer ranging from its local independent shops, cafes, and restaurants, to its beautiful green spaces, and its convenient access to Edinburgh University Campuses; within walking distance to George Square and King's Buildings. You are around the corner from The Royal Commonwealth Pool offering a huge array of leisure facilities including swimming, yoga, gym, and a relaxing cafe you have no excuse not to embrace 2019 with a new fitness regime. You also have Edinburgh's Arthur's Seat, the perfect setting for a gentle walk, a wee jog or a hike, or a relaxing picnic with friends on a sunny day. Sticking to green spaces, you are also within walking distance to The Meadows with its beautiful cherry blossom and its famous photogenic paths. Bus access to Edinburgh City Centre is plentiful and frequent with a number of Lothian buses taking you straight into town (around 5 minutes bus journey). A quick bus journey also takes you to Cameron Toll Shopping Centre offering Sainsbury's and Aldi Supermarkets, Boots, WHSmith, and a cheeky McDonalds - everything you need in one place! Within walking distance, you have an array of cafes and shops - we recommend the Apiary and The Salisbury Arms, delicious food and great service! A beautiful HMO property in a great location - a must see. Council Tax Band: G EPC rating: D. Landlord Registration Number: 302881/230/16161.